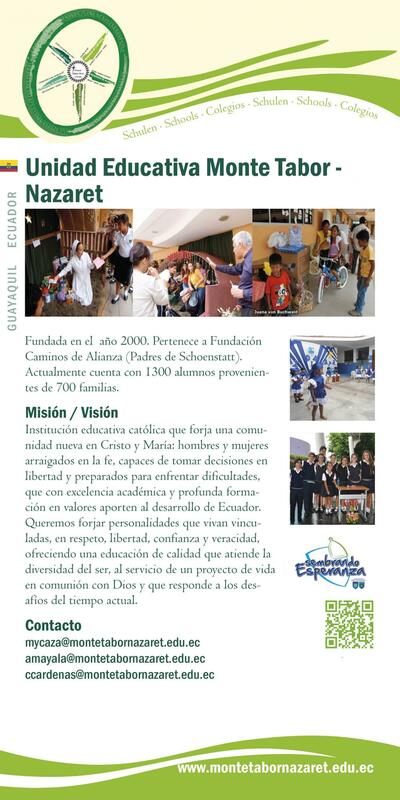 Founded in 2000 as part of the “caminos de Alianza” Trust of the Schoenstatt Fathers. Number of students: 1300 from 700 families. A Catholic educational institution that forms young men and women students, and enables them to face difficulties and decide for themselves. In the school they are given access to excellent knowledge and profound human and religious values. The Unidad Educativa Monte Tabor - Nazaret wants in this way to contribute to the development of Ecuador.